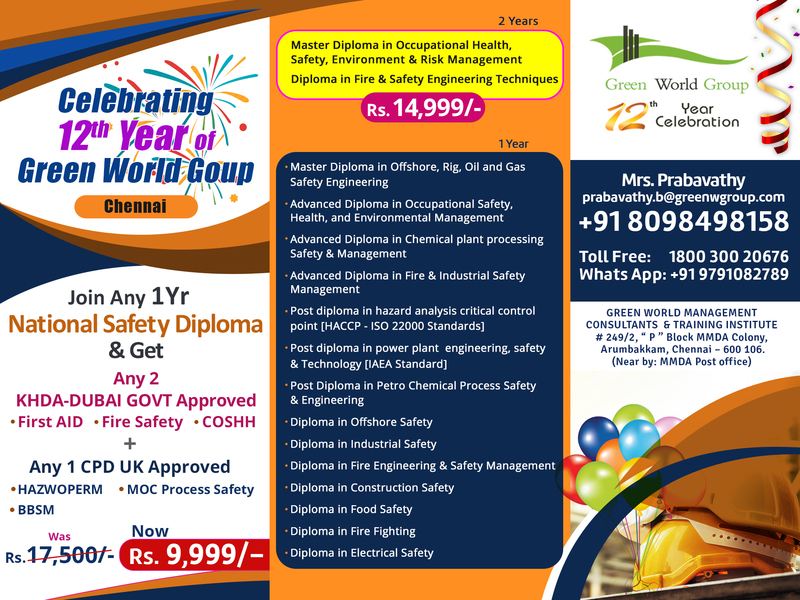 GWG is the premier occupational Health and Safety course provider and management consultant which is offering for Corporate Diploma Courses at affordable cost.!! We are conducting the following Diploma courses – Adoshem, Diploma in Offshore safety, Diploma in Fire engineering & safety management, Diploma in Industrial Safety and Diploma in Construction safety etc. We are having our own outlet in India, UAE, Saudi Arabia, Nigeria, Angola and Oman. Contact: Mrs.Prabavathy |Sr. Product Specialist Mobile: Mob: +91 8098498158. Corporate courses with 1000 INR Discount price For GWG candidate! !